Santa Cruz Public Libraries' very own makerspace offers a variety of tools and materials for STEAM-based projects! Bring your own craft or project to work on in a creative environment, test out new tools before investing in your own, or come in to learn, explore, and have fun! Fresh, locally grown produce on Friday afternoons from 2:30 to 6:30 PM from May to November. An enchanting farmers market with a "mercado" feel. Lots of wonderful produce and prepared foods. The Watsonville Farmers' Market is a member of the California Federation of Certified Farmers' Markets. The Market provides fresh, locally grown produce on Friday afternoons from May to November. Cost: $15.00 (sliding scale) + tips for the band. Bring: Snacks to share--finger food only, please.Dancing in Santa Cruz for 48+ years. Live music parties will usually happen at the Live Oak Grange in Santa Cruz--depending on availability of the facility and bands. Occasionally we will party at Park Hall in Ben Lomond or at our regular venue, Market Street Senior Center. EVERY Friday, except on (or near) national holidays. For the health and comfort of members with asthma and allergies, the class is "fragrance-free". Any schedule changes will be announced on this web site, whenever possible. In a residential neighborhood, on the surrounding streets. Please be considerate of the neighbors, and don't block driveways. New to folk dancing or haven't danced in 10-40 years? Come at the beginning of class, when easier dances are taught. LIVE MUSIC: Check the Calendar of Events page for the schedule of live music parties and other parties/events of interest. This class has been taught by Alan Rothchild for over 25 years. Every Tuesday evening, 7:30 - 10:00 p.m. Enjoy a tasty meal, beverage and music by kid rock bands! Enjoy live music from the Rio Del Mar Elementary School's Rockband, the Aftermath, the Aptos Junior High School Rockband, and their Music Instructor Martin Sweets' Celtic rock band, the Pub Grubs, out in Abbott Square. Grab a tasty meal or delicious beverage in Abbott Square Market. Explore the interactive art and history exhibitions just a few steps away inside the Santa Cruz Museum of Art & History. Run into old friends and make new ones in the plaza. Bilingual Baby Laptime is a Free bilingual English / Spanish 30 minute program of stories, activities and music for babies age 0-24 months. Come to the library and join us for some fun while helping your child build socialization and early literacy skills. Tales to Tails @ La Selva Beach from 3:00pm-3:30pm! Have you read to a dog through the Tales to Tails program at Santa Cruz Public Libraries? You have plenty of time to participate in this fun reading activity with your family, so contact tales2tails@santacruzpl.org or 831.427.7717 to reserve your spot. Have you been struggling after the loss of a loved one? You are not alone. Join today's Grief Support Group led by Hospice of Santa Cruz from 1-2pm on Fridays through March 22nd. Toddler Time is a weekly program for families with children ages 0-3 years old. It includes music, movement, stories, fingerplays, rhymes, songs and fun for your child and you as well as social time with other children and their caregivers. Let's play and learn together! Special Instructions: Pay at the door by cash or check only. Discounts for Seniors, Military and all students. Doors open fifteen minutes before show time. For over 40 years the planetarium at Hartnell College has opened its doors to the public for regular evening shows. In continuing this tradition please check out either our Children's show or our Evening show. It has also hosted events celebrating Halley's Comet, the Voyager Missions, and the New Horizons Flyby of Pluto. To find out more about such special events please check out our special events page. ​Do not be late, this is a one man operation and I physically cannot run the show and let people in at the same time. No food or drink. Water is fine. Cell phones on silent and put away. Even on the dimmest setting, cell phones light up the whole room. Please respect other peoples visit, leave them in your pocket. No light up shoes. While they may be adorable, they also light up the whole room. If you do accidently bring your young one in illuminated footwear, please simply take the shoes off for the duration of the show. Hartnell College Planetarium's Children's Show is geared towards local families looking for an educational and fun evening out. Tickets Buy Tickets Here $4 Person Tickets also available at the door Do not be late! You can also purchase tickets at the door. We accept cash, card, and NFC (android/applepay). Stroll through history as you visit the various gardens within our courtyard and patio. We can learn a good deal about people who lived here in the past by exploring the plants they used and cultivated. Tour our native plant gardens, demonstration vegetable beds and Victorian "Nearyland". Take home history in a seed. Event is free. The Santa Cruz Mission State Historic Park is located on School St. off Mission and Emmet Street in Santa Cruz. Please call (831) 425-5849 for more information. Events made possible by California State Parks and Friends of Santa Cruz State Parks. Event is free. Rain Cancels. The Santa Cruz Mission State Historic Park is located on School Street in Santa Cruz. For more information, please call (831) 425-5849. Events made possible by Friends of Santa Cruz State Parks and California State Parks. Join us; meet young entrepreneurs! Our young Explorers, ages 10-13, are launching their very own businesses on Saturday March 23rd at our Westside Santa Cruz Studio! Unique crafts and creations, foods and desserts, this is a market you don't want to miss! Come support our young entrepreneurs from 11:00am - 2:00pm at the Circle Church in Westside Santa Cruz! Everything new parents could want! Free Family Event • Saturday, March 23, 2019	•	Preregistration encouraged. Hands-on Demos - Learn about pregnancy, birth and postpartum topics from local birth and postpartum doulas, childbirth educators, birth photographers, midwives, fitness and yoga teachers. Don't have the whole afternoon free? You are welcome to just pop in. birth doulas - lactation support - midwives - childbirth educators - photographers - postpartum doulas - acupuncture - chiropractic - massage - fitness - resources - yoga - more! 4:00 - 4:30 Free Workshop: "Baby's here: Realistic Expectations"
Meet with Birth Network's professional members and service providers. Ascend through Douglas-fir, madrone, and tanoak to see the park’s imposing namesake peak—a good spot for bouldering and roped climbs. The surrounding smaller rocks are a great playground for children. Are there different kinds of redwoods? How do coastal redwoods grow to become the tallest organisms on earth? Why are there so few old growth trees left? How important are banana slugs to the redwood ecosystems? Answer these questions and more every Saturday on our Redwood Grove Walks. One of our knowledgeable and friendly docents will lead you through the wondrous old growth forest and answer any questions you may have. Meet at the visitor center. For more information, please call (831) 335-7077. Event free. Vehicle day use fee is $10. Event made possible by Mountain Parks Foundation and California State Parks. Special Instructions: Bring your rocks! Gavin and Graham, our "Geology Gents," will guide guests into the world of meteorites (and even show off a meteorite sample of their own), some of which are among the most ancient objects found on Earth. Bring all your questions and any rocks you'd like identified to this fun, free (with admission) and informal science chat, right here at the Museum. About our Geology Gents: Graham Edwards and Gavin Piccione are PhD students in the Department of Earth and Planetary Sciences at UC Santa Cruz. Journey back to the 19th century! Come and see how Mission Santa Cruz participated in a world economy back in the early 19th century. We will look at some of the major products of the mission, leather and tallow, and demonstrate how they were used. You will see how a branding iron works and get to make your own candle. Rain cancels. For more information, please call (831) 425-5849. Event free. Event made possible by Friends of Santa Cruz State Parks and California State Parks. Dance with us through the decades --in costume!! Since 1969, the Boys & Girls Club of Santa Cruz County has provided services to more than 30,000 of our communities' children and teens. Please join us at this very special Boys & Girls Club Gala and celebrating the years by Dancing through the Decades with floors of incredible foods, spirits and entertainment. We encourage guests to wear costumes/outfits in their favorite decade between 1960-2010. What decade will you choose? Tickets: $125 per person, limited to 300 guests. Get crafty! A Do-It-Yourself craft will be ready and waiting for families, independent-minded kids and teens! Children 8 and younger must be accompanied by an adult. The fair is an opportunity to learn about Parks and Recreation's summer programs and to ask questions prior to summer registration opening Saturday, April 13. Meet summer camp leaders, junior guard and class instructors. Play in our pop up park complete with bounce houses and food trucks. Participate in hands-on activities for kids and adults. Ensure your Parks and Recreation account is up-to-date and ready to roll for "Super Saturday" registration. Enter a raffle drawing for some great prizes. FREE! Whether you're participating in your first 5k or you're racing for prize money, ALL LEVELS are welcome and celebrated! At this time you can register for our She.is.beautiful Santa Cruz event individually or the series: Santa Cruz and Santa Barbara! Empowering women and girls through movement and community in a supportive environment where they are able to take the lessons learned on the road and trail into the rest of their lives. We believe that beauty is more of a feeling than a physical attribute. We believe everyone deserves to feel beautiful, strong, smart, and capable in their own unique way. We believe so strongly in the power of sweat and community. We think there is something powerful that happens when a women/girl learns how strong she really is and how this can impact the rest of her life. She.is.beautiful was born on a dream, optimism, hard work, and love. It was fueled by a passion for running and to celebrate life in all its mess and beauty. Running brought so much strength, gratitude, power, and grounding to Melissa's life since she began running regularly on her high school's cross country team at age 15. Melissa knew her passion for running was a feeling shared with others yet she also aware there were many others who had yet to feel the magic...and she wanted to both change and celebrate just that. She.is.beautiful was built on the idea of showing and reminding women and girls how strong they truly are in their bodies can give them a new confidence that will positively affect other aspects of their life. Seeing a women or girl develop and own her body and life, that, that right there is beautiful! Endorphins, kindness, joy, empowerment, and support for yourself and those around you...that is something worth celebrating! Join the fun on Saturdays between 1:30 pm and 4:30 pm. The Coastal Watershed Council and Santa Cruz Museum of Natural History are teaming up in 2019 to bring you your favorite nature tour series: Exploring the San Lorenzo River. This spring, connect with local naturalists, geologists, mycologists, historians, and artists through unique explorations of the San Lorenzo River. Bring the whole family and learn about birds, mushrooms, floods, and rocks. Take a tour in the upper San Lorenzo River on the 2nd Saturday of each month. Check out the lower San Lorenzo River and Santa Cruz Riverwalk on the 4th Saturday of each month. Fungus Amongus Saturday, February 23, 10:00 a.m.
Join us for a morning of mushroom hunting in Sycamore Grove, Henry Cowell State Park. Learn from Phil Carpenter of the Fungus Federation about mushrooms: how they grow, how to identify common species and what we know and don’t know about this magic family of organisms. While exploring the area learn about the history and ecology of Sycamore Grove from City of Santa Cruz Park Rangers. Sign up. Fungus, Flora, Fauna Saturday, March 9, 10:00 a.m.
As winter shifts to spring, nature stirs! Explore a beautiful and unique part of the San Lorenzo watershed, and see the late fungus and early flowers that welcome the first migratory birds to our area. This tour will be led by local naturalist Christian Schwartz and will take place in Quail Hollow Ranch County Park located at 800 Quail Hollow Road in Felton. Levees and Climate Change Resilience Saturday, March 23, 1:00 p.m.
How will climate change affect the City of Santa Cruz and the San Lorenzo River? Flooding, fire and drought are predicted to impact our community. Learn about steps the City is taking to address vulnerable areas like the San Lorenzo River and what actions you can take to prepare ourselves. This tour will take place on the Riverwalk and will be led by Tiffany Wise-West, the City of Santa Cruz Sustainability and Climate Change Manager. This tour is part of the 5th Annual State of the San Lorenzo River event occurring on March 23. Crawling Critters Saturday, April 13, 10:00 a.m. In this exploration of creatures thriving on and along the San Lorenzo River, we'll look toward the ground to find the scaled, fanged, barbed, and spineless creatures that often spook and surprise us. Though they may seem alien to some, many of these animals hold amazing adaptations, like neurotoxic tissues or heat-sensing faces. San Lorenzo River 2019 BioBlitz! Saturday, April 20, 9:00 a.m.
On Earth Day and World Fish Migration Day 2019, you're invited to join the Coastal Watershed Council and Santa Cruz Museum of Natural History for the 3rd Annual BioBlitz along the San Lorenzo River at the Tannery Arts Center. This is the culminating event of the Exploring the San Lorenzo River Series. What better way to put your new knowledge of the San Lorenzo River ecosystem and wicked identification skills to use. Work with fellow naturalists, nature enthusiasts, scientists, and volunteers to study and record the biodiversity along the lower San Lorenzo River. Landscapes and Activism Saturday, April 27, 10:00 a.m. Learn about the history of the San Lorenzo River in Santa Cruz from 1955 to 2005 and how transformations of the river landscape impacted the local ecology and human history. Check out old photos of the levees and surrounding downtown. During the tour, we will walk the Santa Cruz Riverwalk taking frequent breaks to take in the modern landscape and discuss how it came to be. The tour will start at the Museum of Art and History. Faults, Floods, and Fossils Saturday, May 11, 10:00 a.m. Explore the geologic history of the San Lorenzo Valley, how to identify the different kinds of rocks, river processes, faults, floods, and fossils. We are looking forward to this repeat of Frank Perry's popular walk, described here. Field Journaling along the San Lorenzo River Saturday, May 18, 9:00 a.m. Explore Coastal Watershed Council's San Lorenzo River Habitat Enhancement site with local artist Melody Overstreet. Learn about the ecological community at the San Lorenzo River through observation, plant care, drawing and guided reflection. We will develop our naturalist eye through the practice of drawing plant species and the landscape. Indigenous People in the San Lorenzo Valley Saturday, June 8, 10:00 a.m. Learn about the first people to live in the Santa Cruz Mountains. How did they interact with the abundant natural resources? What evidence do we have to learn about their lifestyles? Where are they now? More information on the tour to be announced soon. Bilingual Bird Walk - Camino Bilingüe Sobre Los Aves Saturday, June 22, 9:00 a.m. Walk along the San Lorenzo River and discover the different families of birds that live here. Learn to observe birds who come from near and far to the San Lorenzo River. Local bird enthusiast Nanci Adams, will lead the bilingual walk. This tour is great for all ages! Camine a lo largo del río San Lorenzo y descubre las diferentes familias de aves que viven allí. Aprender a observar las aves que vienen de cerca y lejos a nuestro Río. Nanci Adams, una entusiasta de aves, conducirá el paseo bilingüe. La caminata es una gran oportunidad por todas las edades! WPENS Open House -Preschoolers and their parents play, learn and grow together. WPENS is hosting an open house to fill the few openings we have in our classes on Saturday, March 23rd. Preschoolers and their parents play, learn and grow together. This comprehensive preschool program brings out children's ideas and creativity. Adults develop their parenting skills and build friendships with other families. Thrive in a supportive environment at this much-loved parent co-op, a part of the Santa Cruz Community since 1970. Its award-winning teachers inspire a passion for learning. Westside Parent Education Nursery School was the 2016 Santa Cruz Sentinel's Readers' Choice for Best Preschool! Visit our campus at 1231 Bay Street, meet our teachers and talk to other parents to find out why WPENS is their school of choice. For the first time our Tuesday/Thursday afternoon class now offers a Performing Arts Preschool Program. Performances are all literature based at our Westside Parent Education Nursery School Santa Cruz Sentinel's Readers' Choice Best Preschool 2016 located in the Bay View School Campus. the wondrous old growth forest and answer any questions you may have. Join staff & docents on a tour of what's in bloom. Free Guided Tour, 1st Saturday, every month, Free with your Arboretum admission. The UC Santa Cruz Arboretum is open from 9:00 to 5:00 every day except Thanksgiving, Christmas and New Years. A visit is worthwhile any time of the year. $5 for Adults and $2 for Children (6 to 17 years old), and free under 6. Free to those going only to shop at Norrie's. Free on first Tuesday of each month, Community Day. Docent-lead tours can be arranged by advance request. The $10 per person cost includes admission to the Arboretum. Well first of all, the Plunge is NOT a swim. The Plunge is a crazy fundraising event where people raise a minimum of $125 for the opportunity to run into and out of chilly waters along with other brave souls with warm hearts. If you can't "bear" the thought of chilly water then just register as a chicken. You'll be excused from Plunging but still enjoy all the festivities and incentive rewards that our Plungers receive. For an additional $15 registration fee, bring your favorite pooch to take the Plunge with you. Don't forget their costume! Have a blast! All registered participants who raise the minimum $125 are invited to the Pre-Splash Bash featuring breakfast food and other treats to provide some insulation before the icy Plunge. Festivities will include awards for best costumes and top fundraisers, incentives and more. Explore the park's less travelled backcountry with Docent Barry Grimm. This moderately paced hike will be individually tailored to your group. Based on group size, experience level, and weather conditions, we will choose from the many trails that explore the park's most scenic areas. Bring water and good hiking shoes. Meet at park headquarters. For more information, call (831) 338-8883. Event free. Vehicle day use fee is $10. Event made possible by Mountain Parks Foundation and California State Parks. Drop in with your family and make something fun! Join the fun with DIY crafts every Sunday afternoon between 1pm and 4:30 pm! Come and create a self-directed craft. Join the hands-on fun at the crafts table every Sunday from 1-3 PM. Ages: Kids and up Admission Fees: General admission fees apply. Sunday Seaside Crafts -make it and take it! Come create and take home a fun souvenir, an activity for the whole family to share. For example, find out what gray whales eat by creating a bright sun catcher for your window, or create a fancy fish with paper, paint, and color. Build a seal or sea lion puppet decorated with your own special seal nose, complete with whiskers! Join the fun in the crafts room every Sunday from 1-3 PM for hands-on fun. Free with admission to the Seymour Center. ​​The Road Less Traveled: A Dog-Friendly Walk Sundays at 9:30am On this dog-friendly walk, we travel North Escape Road, a paved road closed to traffic. We tour stunning old-growth redwood groves along beautiful Opal Creek. We'll discuss redwood ecology and park history while exploring the deep shade of the redwood forest. 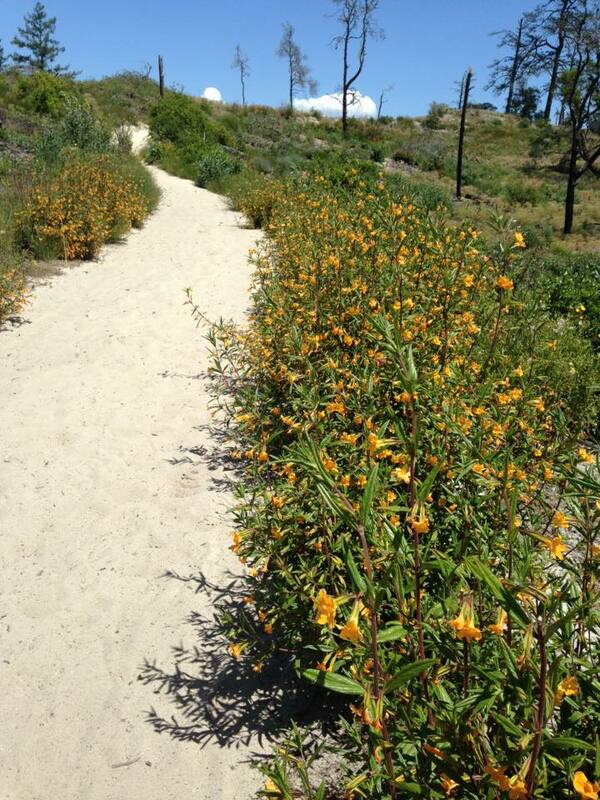 This is a fun and easy, 3-mile, 2-hour walk with docent Diane Shaw. Dogs not required, but welcome! Bring water. Meet at park headquarters. For more information, call (831) 338-8883. Event free. Vehicle day use fee is $10. Event made possible by Mountain Parks Foundation and California State Parks. The Downtown Association of Santa Cruz, in partnership with Growing up in Santa Cruz, is excited to present the return of Kids Day Downtown, a day long festival of activities, events and entertainment just for kids. The sidewalks of Downtown Santa Cruz will be filled with exhibitors, free activities, and entertainment, plus in store activities and specials throughout downtown at your favorite businesses. Come experience a great sample of community groups with great youth programming. Education, sports, arts, science, dance, theater, and other offerings will be present with hands on activities all day. The festival runs from 11:00 am to 5:00 pm on Sunday March 24th. Bring yourselves out to the 4th Sunday Old Time Music Jam under the trees and in the fresh air at Ocean View Park in Santa Cruz! An all-ages, dog-friendly gathering for experts, learners, and lovers of American old time music. Featuring fiddle, banjo, mandolin, guitar, mountain dulcimer and other traditional acoustic instruments, this welcoming gathering keeps alive a rich American musical tradition. Don't be shy. Bring your instruments and come play! Free. Bring a sweater, a folding chair, and a snack to share. In the event of rain or cold, the jam moves inside at a private home near the park. Make a difference for the ocean and join our team of exhibit guide volunteers. We are seeking enthusiastic individuals (ages 15 and above) who enjoy working with the public and have an interest in learning and teaching about marine science. Applications due by Sunday, May 5, 2019. Apply today! Spring exhibit guide training runs May 14–28. Our family of five farmers' markets showcases the best in regional organic produce, pasture-raised meats, eggs and dairy, sustainably-harvested seafoods and artisan-made goods. Purchasing your food through the area's farmers' markets ensures that you are getting the freshest, healthiest and tastiest foods while supporting local jobs, increasing local spending and promoting the region's strong farming tradition. We provide direct access to sustainable sources of fresh produce and other unique foods and education about food issues, both local and beyond. Located at 184 Old Adobe Road, Watsonville, the two-story Rancho San Andrés Castro Adobe, built between 1848-49, is one of the finest examples of a rancho hacienda in the Monterey Bay area. Friends is leading a multi-year restoration effort to preserve and interpret Pajaro Valley's first State Historic Park in partnership with California State Parks. The open houses will be 11 a.m. to 3 p.m., with the exception of the August event, which is 6-9 p.m. All events are free to attend; donations are gratefully accepted. Parking is limited; please carpool. Leashed dogs are allowed in the parking area only. Learn more about how you can help create California's newest State Historic Park. Let's have some fun while also helping each other learn and grow as artists and crafters! Come join us at The Felton Library for Adult Afternoon Arts and Crafts. It's every Sunday from 2-4:30pm. Bring something portable that you are working on or come prepared to have fun! Discover Henry Cowell Redwoods State Park through the lens of your camera and render its marvels and phenomena into an artistic language! During this four-hour saunter, you will explore the functions of your camera, create conceptually- and visually-stunning photographs, become more intimate with the park, and become part of a wonderful community! Make sure to bring your camera, water, proper recreational shoes, a sense of adventure, and your imagination. Meet at the visitor center. Event free. Vehicle day use fee is $10. For more information, please call (831) 335-7077. Event made possible by Mountain Parks Foundation and California State Parks. We have the tastiest fruit, veggies and baked treats! The Farm & Garden Market is a small, friendly, open air market made up of local farmers and gardeners who grow within about a five mile radius of Corralitos. Seasonally we have the tastiest strawberries, blueberries, cherries, lemons, tomatoes, herbs, squash, potatoes, carrots, peas, beets, and avocados, as well as a variety of other fruits, vegetables, lettuces and salad greens. We have bakers that offer wonderful treats, along with a table full of beautiful potted flowers. You may find expertly handmade natural soaps, and homemade jams and preserves. The market is open to all of our friends and neighbors who grow anything from a garden to a good back yard fruit tree. For a booth we request a $5 donation to the CVREA, the non-profit who maintains the Corralitos Cultural Center. Discover what life was like a century ago on this innovative dairy ranch. This hour-long tour includes the 1897 Victorian home, 1859 Gothic Revival farmhouse, 1896 water-powered machine shop, barns and other historic buildings. For more information, call (831) 426-0505. Event free. Day use parking fee is $10. Event made possible by Friends of Santa Cruz State Parks and California State Parks. Contact us today to register for classes for for a free trial class! Ages: birth - 12months Admission Fees: FREE! Spring Session Registration for MusicalMe begins March 1st! Registration is on a first-come, first-serve basis and space is limited. Register March 1st for Spring or jump into our Winter Session now. We pro-rate and offer payment plans! MusicalMe offers Music TogetherT®, Canta y Baila ConmigoTM, & Rhythm Kids classes in Santa Cruz and Santa Clara Counties! Registration for MusicalMe Spring Session offerings of Music TogetherT®, Canta y Baila ConmigoTM, & Rhythm Kids Classes opens March 1st! Visit www.MusicalMe.com to learn more! Spring Session Registration for MusicalMe begins March 1st! Learn how to share the joys of music-making and the powerful benefits of having music in your young child's life. Each child's natural musicality is nurtured, & grownups learn together with their children. Our award-winning curriculum supports grownups to use our music & home materials to further engage children & experience the fun too! Music Together® fosters an environment in which the joys of music-making and the powerful benefits of having music in your young child's life can be shared. Each child's natural musicality is nurtured, & grownups learn together with their children. Our research-based curriculum supports grownups to use our music & home materials to further engage children & experience the fun too! In Rhythm Kids® classes, students explore rhythm by playing with music from around the world. Music Together®-trained teachers lead dynamic classroom activities designed especially for early elementary students/preschoolers, and the discovery continues at home with the interactive Rhythm Kids videos, easily viewable on our app. As they drum, sing, and move to new rhythms, children naturally build musicality that helps them prepare for formal music lessons. Opportunities to solo, work in ensembles, and improvise support social and listening skills, self-expression, and self-confidence. Rhythm Kids Level 1 (RK1) is the next musical step for your preschool child (ages 4-5) with a parent or caregiver. Rhythm Kids Level 2 (RK2) is an exciting music, movement, and drumming class for children in Kindergarten through second grade (ages 5 through 8). Bring your little ones and join us for music, learning, and fun at MusicalMe! Registration is on a first-come, first-serve basis and space is limited. Visit our website or call us to register for Spring or Winter Session, or for a free class today! Journey to view a large colony of Northern elephant seals, guided by your docent naturalist on this moderate 3-mile, 2.5 hour adventure. In the month of December, male elephant seals, or bulls, arrive along the shore of Año Nuevo State Park to establish hierarchy, while pregnant females come ashore to birth to their pups. These popular guided walks take place rain or shine, so be prepared for windy, rainy conditions as well as muddy trails. Layered clothing, sturdy shoes, and rain gear are strongly advised. Umbrellas and strollers are not permitted. Pets are not allowed in the park. Vehicle Day use fee is $10. For more information, call (650) 879-2025 or for recorded information (650) 879-0227, or visit www.parks.ca.gov/anonuevo. Stroll over sand dunes, enjoy beautiful ocean views, and gain a unique opportunity to view a large colony of Northern elephant seals on this 3-mile, 2.5-hour self-guided trail! Visit the female elephant seals as they return to shore to molt, or shed their fur, in this annual excursion. Additionally, young pups are still ashore from the winter breeding season. Layered clothing, closed-toes shoes, and rain/wind gear are strongly advised. Umbrellas and strollers are not permitted inside the dune area. Pets are not allowed in the park. Walk is free; day-use vehicle fee is $10. Entrance to the reserve for your self-guided walk requires a free permit that can be obtained at the entrance station, or the Visitor Center. Please contact the park at 650-879-2025 for further information. If you require mobility assistance, you may request a volunteer-led equal access tour. You will board our accessible van and get a ride to our wheelchair-accessible boardwalk. A volunteer(s) will accompany you to the two seal-viewing decks, explain the Northern elephant seal natural history, the history of the park, and answer questions. Reservations are required. Please, allow a 2-week advance notice. The volunteer led tour is free, day-use vehicle fee is $10. Contact the park at 650-879-2033 or email Ano.EqualAccess@parks.ca.gov. Events made possible by Coastside State Parks Association and California State Parks. Amazing kids art show! Join us please. Palace is a proud sponsor of the Youth Art Exhibit. See over 300 pieces from classrooms across the county on exhibit at the County Government Center from March 22nd through May 10th! Theater at its delightful best in Ben Lomond! 2019 SEASON TICKETS ARE NOW ON SALE - THROUGH BROWN PAPER TICKETS OR BY CALLING 800-838-3006, THEIR 24/7 CUSTOMER SERVICE NUMBER. Here's a list of the shows in our 2019 season. All performances are at Park Hall in beautiful downtown Ben Lomond. Four Old Broads is a new comedy featuring four sassy, smart, and savvy older women who are living at the Magnolia Place Assisted Living home. With fast-paced and quick-witted dialogue, it has been called "a laugh-out-loud hysterical play with a whole lot of heart." The play revolves around retired burlesque queen Beatrice Shelton who desperately needs a vacation, but NOT another trip to see that "precious little German village for the umpteenth time." She dreams of a trip through the Caribbean on a "Sassy Seniors Cruise," but encounters obstacles along the way, including the evil Nurse Pat Jones. Much laughter ensues as the gals try to solve a mystery at Magnolia Place by going under-cover. If they can solve the mystery, they may make it to the cruise ship after all. A Pulitzer Prize finalist for Drama. Also called "one of the top 10 plays of 2012" by Entertainment Weekly and "intensely smart and immensely funny" by the New York Times. After grad school, Catherine and Gwen chose opposite paths. Catherine built a career as a rockstar academic, while Gwen built a home with her husband and children. Decades later, unfulfilled in polar opposite ways, each woman covets the other's life, commencing a dangerous game of musical chairs - the prize being Gwen's husband. With searing insight and trademark wit, this comedy is an unflinching look at gender politics in the wake of 20th-century feminist ideals. We will again be staging our New Works Weekend in August, featuring a staged reading of a new play by a local playwright. Each performance will feature a talk back with the cast and playwright. Over 54 million people all around the world have fallen in in love with the characters, the story and the music that make MAMMA MIA! the ultimate feel-good show! A mother. A daughter. Three possible dads. And a trip down the aisle you'll never forget! The sunny and funny tale unfolds on a Greek island paradise. On the eve of her wedding, a daughter's quest to discover the identity of her father brings three men from her mother's past back to the island they last visited 20 years ago. The story-telling magic of ABBA's timeless 1970's hit songs, non-stop laughs, and explosive dance numbers propels this enchanting tale of love, laughter and friendship, creating an unforgettable show. Chekov's masterpiece tells the story of an aristocratic Russian landowner who returns to her family estate just before it is auctioned to pay the mortgage, and her increasingly desperate attempts to save the property. The play's brilliance lies in its use of a critical historical moment - the aftermath of the abolition of serfdom in Russia - to explore and provide deep insights into families and relationships, all done with humor and intense drama. Four Old Broads is a new comedy featuring four sassy, smart, and savvy older women who are living at the Magnolia Place Assisted Living home. With fast-paced and quick-witted dialogue, it has been called "a laugh-out-loud hysterical play with a whole lot of heart." The play revolves around retired burlesque queen Beatrice Shelton who desperately needs a vacation, but NOT another trip to see that "precious little German village for the umpteenth time." She dreams of a trip through the Caribbean on a "Sassy Seniors Cruise," but encounters obstacles along the way, including the evil Nurse Pat Jones. Much laughter ensues as the gals try to solve a mystery at Magnolia Place by going under-cover. If they can solve the mystery, they may make it to the cruise ship after all. Our 2019 season opens on March 15 with Four Old Broads. See the 2019 Season Subscription page with information about our equally fascinating and entertaining 2019 season. Season tickets for 2019 can be purchased through Brown Paper Tickets or by calling 800-838-3006, their 24/7 customer service number. Reservations for subscribers for Four Old Broads are open. Subscribers please visit Brown Paper Tickets or by calling 800-838-3006, their 24/7 customer service number for tickets. Opening Night Reception, Friday March 15th, after the performance! Community Night, Saturday, March 16th, all tickets Two for $20! Talk-back with the cast and director, Sunday, March 24th after the performance! Discover the Santa Cruz Sandhills formation-its fossils, its unique plants and animals, and how fire plays a role in preserving this special habitat -at our Sandhills Mobile Visitor Center in the parking lot next to the Nature Store. For more information, please call (831) 335-7077. Event free. Vehicle day use fee is $10. Event made possible by Mountain Parks Foundation and California State Parks. Don't miss the U.S. Navy Blue Angels and more! Don't miss your chance to see the U. S. Navy Blue Angels Perform at the California International Airshow! Sean D. Tucker Adds Jessy Panzer to His Aerobatic Team! The gates open at 9:00 a.m. each morning and the flying will start at 12:00 noon. We invite people to get there early to get a good seat and to enjoy all the wonderful exhibits and vendors that are in attendance. There is truly something for everyone. From the North, you will want to follow the signage on US 101 for the airshow, which will direct you to the John St. Exit. Follow the "Airshow Parking" signs to E. Alisal St. where you will find directions for parking. Wilder Ranch State Park invites you to experience old-time activities from its rancho, dairy farm, and cowboy rodeo days. Hands-on activities and living history presentations may include butter churning, ice cream making, roping skills, and demonstrations in the ranch buildings. Come for a picnic on the lawn and follow it up with a game of tug of war, sack races, hoops, stilts, and Wilder Ranch's famous old-fashioned bubbles! This event is appropriate for all ages. Event is free; parking is $10. Please call the park to confirm at (831) 426-0505. Event made possible by Friends of Santa Cruz State Parks and California State Parks. For almost nine decades, the Santa Cruz Art League's Statewide Landscape Exhibition has showcased the work of artists across the Golden State who depict California's foothills, mountains, seashores, and deserts of the interior and coastal regions. Who better to lead you through our parks than California State Park professionals? Three backpacking trips are offered from June through August 2019 ranging from two to three nights, offering options for every experience level. Hike spectacular ridgelines, old growth redwood forests, and sandy shores with our knowledgeable team of backcountry naturalists. Native plant teas, trail desserts, skills demonstrations, campfire stories, and jokes are added bonuses! This program is truly unique, the only such program led by California State Park staff. Participation is open to adults 18 or over and children ages 13 to 17 accompanied by a parent or guardian. For more information, please visit www.parks.ca.gov/backpacking, email backpacking@parks.ca.gov, or call (831) 335-1743. Events made possible by Friends of Santa Cruz State Parks, Waddell Creek Association, Mountain Parks Foundation, Sempervirens Fund, Portola and Castle Rock Foundation, and California State Parks.